While e-commerce threatens to devour traditional retailing in most industries, the one sector that has thus far remained resistant to its pull, even in the most developed of e-commerce markets such as the United States, is grocery shopping. There have been some nascent online grocery shopping websites in developed economies, but they have been slow to gain traction. So what chance would an online grocery shopping startup have in Pakistan, where people are only just now starting to get comfortable with the more mainstream forms of e-commerce? Two dreamers, both operating startups out of Karachi, are willing to find out. They are the founders of Hum Mart and Mandi Express, and both appear to believe that Pakistanis may soon be ready to shop for groceries online. Hum Mart co-founder and CEO Malik Faisal Qayyum is a veteran of the traditional retail business and has worked at senior positions at Unilever and Telenor. He was a director of sales and then the head of business intelligence and analytics at Telenor. Mandi Express co-founder and CEO Jehanzeb Chaudhri founded this venture along with Danyaal Balkhi. Jahanzeb is a graduate in computer science and has specialized in data analytics. Mandi Express’ business model is rooted in the use of information and technology to guide the purchasing experience of their clients. Mandi Express was incubated at Karachi’s Nest I/O. However, despite the fact that both of these firms operate in the very nascent Pakistani online grocery industry and have geographical overlap in their core market (Karachi), they are not direct competitors. Hum Mart, as its name suggests, is a subsidiary of Hum Network Ltd (PSX: HUMNL) and intends to provide a perfect substitute to the shopping experience one might get at a supermarket. The main difference between Hum Mart and a brick-and-mortar store is that users of Hum Mart would not have to go through the hassle of driving, parking and carrying their purchase all the way back to their residence. Hum Mart would do this for them and that too at no additional cost (on standard delivery). Mandi Express, on the other hand, is a startup of two young graduates. And they are much more invested in tracking the produce throughout its value chain. Mandi Express is in constant contact with many different players such as farmers, arthis and mashakhors (various agricultural intermediaries) and works with them to provide fresh organic products to their customers. Perhaps the biggest advantage internet has provided to customers is the free, 24/7 access to product information. We can look up real-time changes in prices and availability of the items we wish to purchase. Consumers can also compare the prices of products on different stores and read reviews about the product or the company they intend to purchase from. Information is arguably even more useful if you look at it from the producer’s perspective. And if the information collected is used with clear objectives, it can be a game-changer. Data can help make processes more efficient and track shopper patterns. Both founders in this space have a background in data analytics for business operations, which informs both companies’ business strategy. 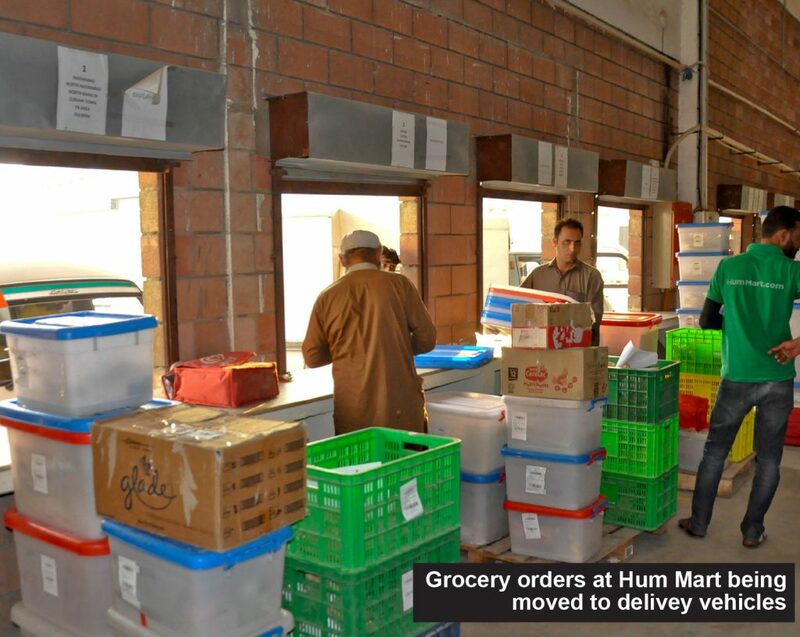 Hum Mart runs on an asset-heavy structure, focused on delivering high quality service to its customers. They have a huge warehouse in Korangi, a large fleet of Bolan pickups for carrying products in and orders out, and numerous employees that comprise many departments along with an in-house call center. 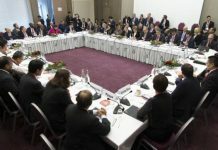 But such an extensive investment means that operational and financial costs could easily overburden the already very thin margins that groceries provide. “Data in itself is not the most useful thing. The real trick is your ability to use the numbers gathered and convert them into actionable analytics. We use actionable analytics to give customized reporting to our corporate customers. And this is one of the things which helps us in winning over their business and generate higher revenue,” said Faisal Qayyum. Apart from the various ways data has helped Hum Mart cut down costs, it has also helped them to generate alternate sources of revenue and allowed them to get better returns out of their asset-heavy model. An example of this is how Hum Mart is not only able to provide best quality products at the door steps of their clients, they are also able to help bring in efficiency and reduce waste for their corporate clients. It is a similar story at Mandi Express. “Every single process is tracked and all our systems are interlinked. From the point our customer registers an order to the time their order is delivered and its feedback is gathered, every step is measured. KPIs [key performance indicators] are made out of the data and we try to reduce project times and improve efficiencies. This also helps us to identify if a problem ever occurs and ensure that its source is eliminated. Through data we are able to pinpoint where the issues are. Data is then also helpful in our attempts to retain customers. And that is what separates the online industry from traditional vendors,” said Jehanzeb Chaudhri. Grocery shopping is easily one of the most fragmented segments of the Pakistani retail market, and a highly competitive one at that. 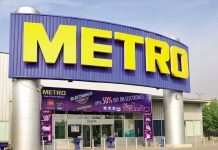 In addition to the more than 50,000 kiryana stores throughout the country, there are the well-financed larger grocery chains that are setting up operations in Pakistan, including subsidiaries of Germany’s Metro Cash N’ Carry and France’s Carrefour. Then there are other startups also in this space. That level of competition would be daunting, and might persuade most entrepreneurs to stay away from this space. 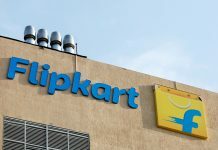 However, both the CEOs were not concerned in the slightest from the prevailing contestation for customers. Their research and understanding assured them that the market was big enough to cater to a large number of firms. Faisal provided some numbers to back up story. According to his research, the total potential value of e-commerce retail in Pakistan is estimated to be at $1.5 billion. And the biggest category out of the entire e-commerce industry is grocery. The potential online grocery trade comes out to be $360 million, which is 1% of the entire grocery industry (both online and offline). “The quantity of all grocery traded online currently adds up to $20 million, which means that only 6% of the market has been captured, all of the remaining 94% is up for grabs. Therefore, there is room for many more players” said Faisal. Jehanzeb shared the same sentiment regarding the size of the online market and the opportunities present in the grocery economy. He further emphasized on the population of the city and the importance of home cooked food in our culture. An important element of our modern shopping experience is the ability to acquire all the items we need from one central venue. This need is what gave birth to the concept of huge shopping malls and giant-sized stores we see around us. For the online shops to divert and capture the market they will have to incorporate this ability into their model. And the businesses we spoke to have been able to do this in various ways. 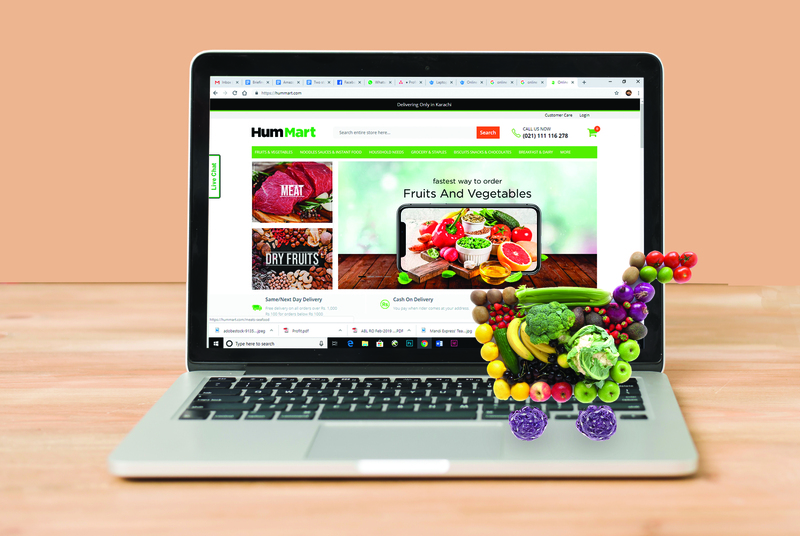 Hum Mart have recognized the lack of availability of produce as one of the “pain points of consumers on e-commerce sites”. To overcome this pain point Hum Mart has an extensive range of products in their several categories which range from fresh fruits to personal care, household needs and many more. Their warehouse is huge and is always stocked to make sure that the needs of their clients are actively met. An important distinction between online stores and their brick-and-mortar counterparts is the varying capacity of both to react and respond to the changing consumer demands. With the traditional grocery suppliers, their facilities are quite literally set in stone. Once a physical store is constructed, it is very difficult to relocate it, to reshape its boundaries or change the aisle structure to allow greater footprint or meet any reorientation in shopper needs. However, this freedom for online stores in form and structure could be a blessing or also a burden, depending on how it is utilized. Mandi Express takes the delivery of an important customer value to its very core. They essentially work to bridge the information gap that exists between consumers looking for fresh and cheap grocery and the suppliers who intend to benefit from the information inequality. “Mandi Express gives its customers access to the best quality products at their ideal prices, and therefore we bring transparency into the entire sabzi purchasing experience,” said Jehanzeb. Thank you for the article about Two startups willing to bet that more Pakistanis will buy their groceries online. Just for your information, Compare & Apply online for the best Credit Card offered by leading banks in Pakistan ONLY at Mawazna.